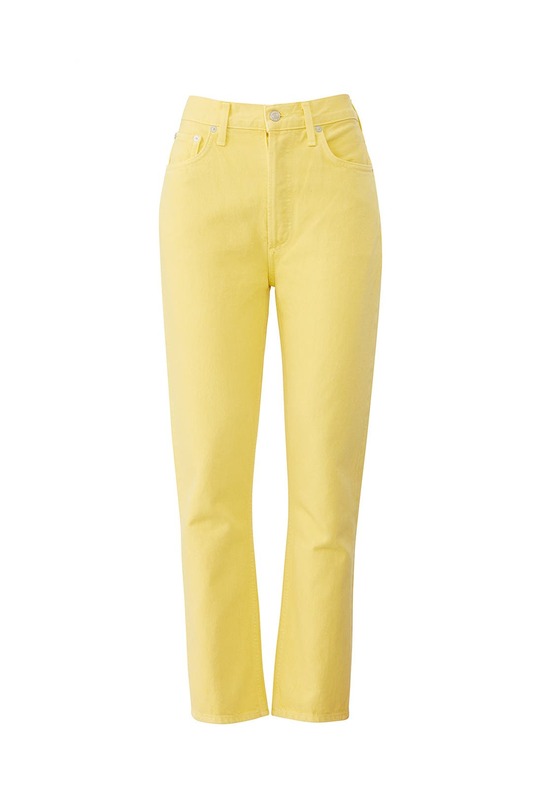 Brighten up your denim collection with these AGOLDE skinny jeans styled with a high rise and cropped cut. Sized: 24-32, AGOLDE sizing, one length available. Regular measures 37.5" from waist to hemline. 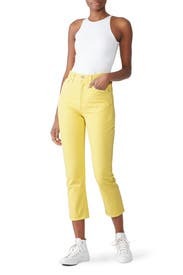 Really wanted a pair of yellow jeans for vacation in Mexico. These hit the spot! I could've sized down, but these were fine with a belt. 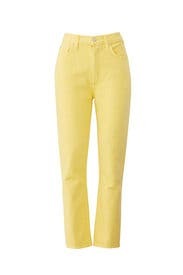 These are great pants, but the size was a bit small on my hourglass shape. 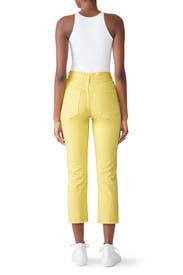 Will order a size up since these pants are darling. They do have a button fly, so be prepared.